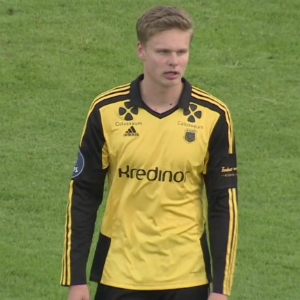 A footballer in Norway has been given a red card – after branding another player “gay”. Simen Juklerod of Norwegian team Baerum SK, who are in the country’s second division, was sent off during the team’s match against Sandnes Ulf. As the team were preparing to take a free kick in the second half of the match, referee Anders Gjermshus brandished a red card – sending off Juklerod over the incident. Although he admits using the word “gay”, the BBC reports that Juklerod denies using any expletive. When asked whether he had called a player “f**king gay”, he told Aftenbladet: “There was a second I was not thinking, and said the second word [gay], yes. Head of referees Terje Hauge said the sending off was warranted if the word was used “in an insulting or offensive manner”. He said: “It is something that’s been discussed several times after an incident a couple of years ago when a yellow card was given in a similar situation.